posted by Jeff Maury on Nov 06, 2017. JBoss Tools 4.5.1 and Red Hat JBoss Developer Studio 11.1 for Eclipse Oxygen.1a are here waiting for you. Check it out! 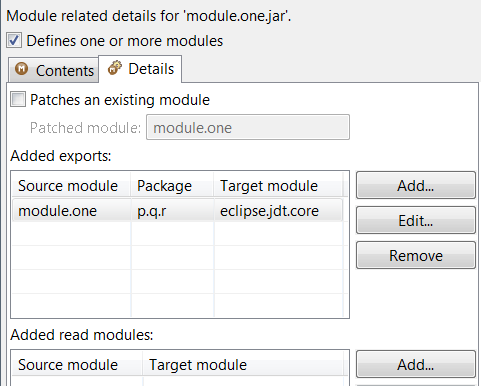 This release requires at least Eclipse 4.7 (Oxygen) but we recommend using the latest Eclipse 4.7.1a Oxygen JEE Bundle since then you get most of the dependencies preinstalled. Once you have installed Eclipse, you can either find us on the Eclipse Marketplace under "JBoss Tools" or "Red Hat JBoss Developer Studio". For JBoss Tools, you can also use our update site directly. Our main focus for this release was on adoption of Java9, improvements for container based development and bug fixing. Eclipse Oxygen itself has a lot of new cool stuff but let me highlight just a few updates in both Eclipse Oxygen and JBoss Tools plugins that I think are worth mentioning. A new server adapter has been added to support the next generation of CDK 3.2. While the server adapter itself has limited functionality, it is able to start and stop the CDK virtual machine via its minishift binary. Simply hit Ctrl+3 (Cmd+3 on OSX) and type CDK, that will bring up a command to setup and/or launch the CDK server adapter. You should see the old CDK 2 server adapter along with the new CDK 3 one (labeled Red Hat Container Development Kit 3.2+ ). All you have to do is set the credentials for your Red Hat account, the location of the CDK’s minishift binary file, the type of virtualization hypervisor and an optional CDK profile name. Once you’re finished, a new CDK Server adapter will then be created and visible in the Servers view. Once the server is started, Docker and OpenShift connections should appear in their respective views, allowing the user to quickly create a new Openshift application and begin developing their AwesomeApp in a highly-replicatable environment. A new command has been added to tune resource limits (CPU, memory) on an OpenShift deployment. 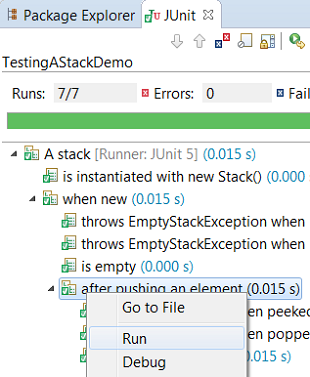 It’s available for a Service, a DeploymentConfig, a ReplicationController or a Pod. When an OpenShift connection is created, the Docker registry URL is empty. When the CDK is started through the CDK server adapter, an OpenShift connection is created or updated if a matching OpenShift connection is found. But what if you have several OpenShift connections, the remaining ones will be left with the empty URL. It is possible to login from JBoss Tools to OpenShift.io. A single account will be maintained per workspace. Once you initially logged onto OpenShift.io, all needed account information (tokens,…​) will be stored securely. In the toobar, you should see a new icon . Click on it and it will launch the login. This dialog will be also shown if an OpenShift.io account was configured in the workspace and the account information is valid. A server adapter has been added to work with EAP 7.1 and Wildfly 11. It’s based on WildFly 11. This new server adapter includes support for incremental management deployment like it’s upstream WildFly 11 counterpart. Additional validation has been added to help users avoid mixing Beans defined with class names and Beans defined referencing other beans. We are happy to announce the addition of new Apache Karaf server adapters. You can now download and install Apache Karaf 4.0 and 4.1 from within your development environment. You can now change the Apache Camel version used in your project. 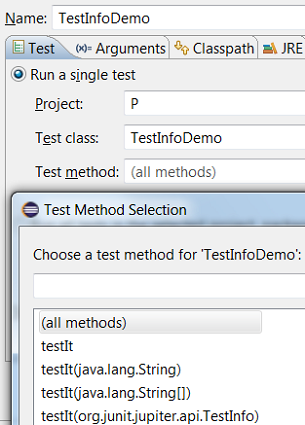 To do that you invoke the context menu of the project in the project explorer and navigate into the Configure menu. There you will find the menu entry called Change Camel Version which will guide you through this process. 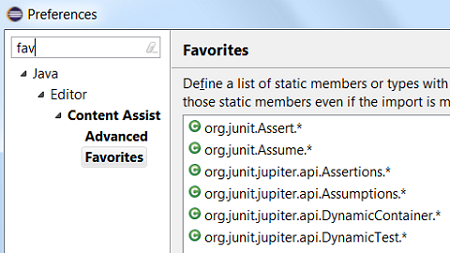 Updated significant features to support Java Modules, such as compiler, search and many editor features. 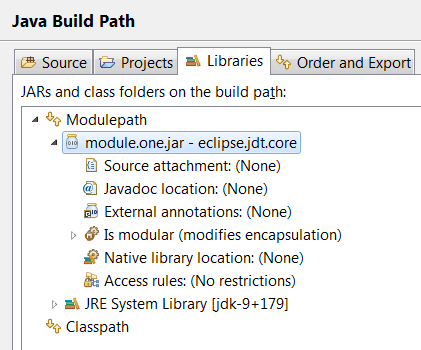 It is not mandatory to run Eclipse with Java Runtime 9 to get the Java 9 support. 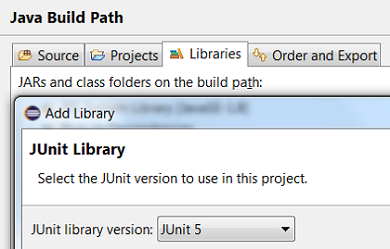 However, a Java runtime 9 is required to be on a project’s build path to compile a modular project against the system modules. 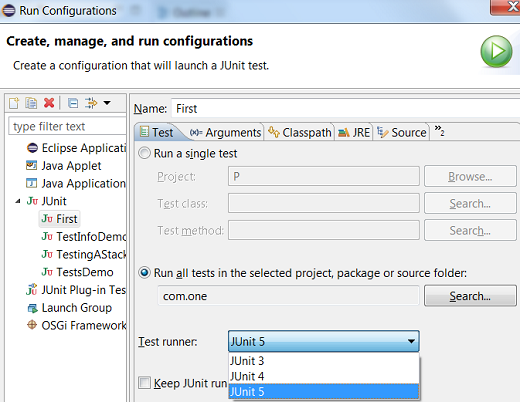 JUnit 5 support is now available in Eclipse. 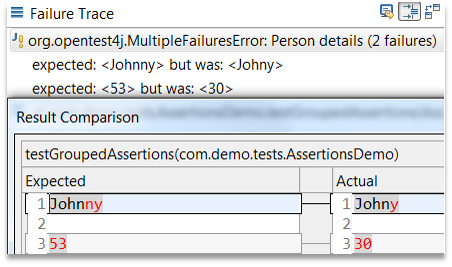 This allows you to quickly import the static methods from these classes in your code via Content Assist (Ctrl + Space) and Quick Fix (Ctrl + 1). 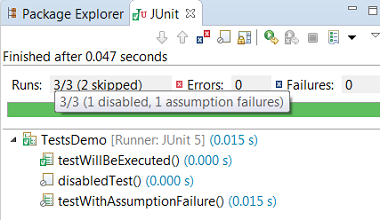 We do not support running tests in a setup where an old Eclipse build (not having JUnit 5 support) is using a new Eclipse build (having JUnit 5 support) as target. 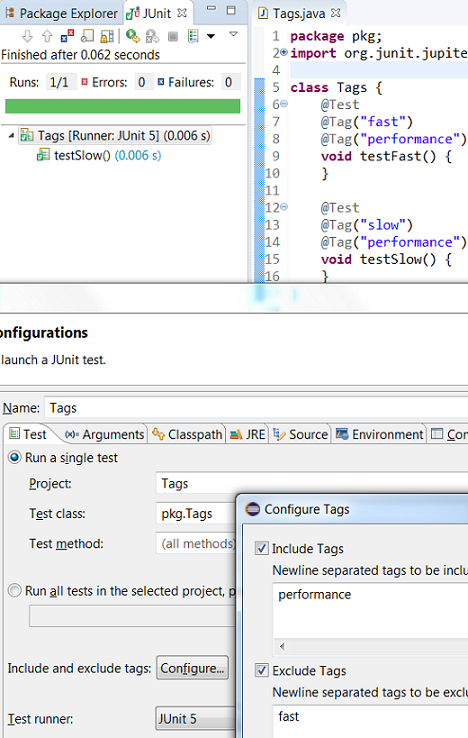 Also, developers who have the JDT JUnit runtime bundles (org.eclipse.jdt.junit.runtime, org.eclipse.jdt.junit4.runtime) checked out and pull the latest changes will run into the above issue. You are expected to use a new Eclipse build for the development. You can find more noteworthy updates in on this page. 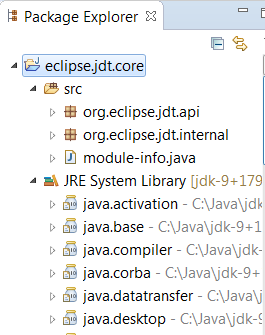 Having JBoss Tools 4.5.1 and Developer Studio 11.1 out we are already working on the next maintenance release for Eclipse Oxygen. by Jeff Maury on Apr 01, 2019.
by Jeff Maury on Mar 11, 2019.
by Jeff Maury on Feb 26, 2019.
by Jeff Maury on Jan 17, 2019.
by Jeff Maury on Oct 08, 2018. Looking for older articles ? See the Archived entries. Most plugins are available under the Eclipse Public License (EPL) others Lesser General Public License (LGPL). They may also contain some libraries licensed under certain open source licenses such as ASL, BSD, and/or certain other open source licenses.